The U.S. Global Positioning System has garnered a long list of honors over the years, but a forthcoming presentation from the International Astronautical Federation (IAF) is one of the most remarkable yet. The GPS program will receive a certificate and a trophy during the IAF’s annual congress, October 3–7 in Cape Town, South Africa. It was nominated by the American Institute for Aeronautics and Astronautics (AIAA), an IAF member. The Bureau of the International Astronautical Federation chose the 60th Anniversary Award recipient based on a recommendation by the IAF’s Honours and Awards Committee. Sir Martin Sweeting, the committee chair, is the executive chairman of Surrey Satellite Technology Ltd (SSTL), which is helping build Galileo’s operational satellites for the EU. Lt. Gen. John T. Sheridan, commander at the Air Force Space Command’s Space and Missile Systems Center at Los Angeles Air Force Base, home of the GPS Directorate, said, “We greatly appreciate this significant honor . . . The positive and cross-cutting impact of GPS and GPS applications on modern life is indisputable. The ubiquity and breadth of GPS applications defy even the ambitious goals and expectations of its originators. 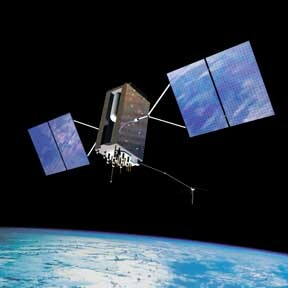 The IAF announcement noted that GPS is an increasingly vital part of several critical infrastructures for air transportation, maritime shipping, electrical power, communications, timing natural resources management, and emergency responders at global, national and local levels. The International Astronautical Federation is a worldwide association of organizations active in space, with 205 members in 58 countries including all leading agencies, space companies, societies, associations, and institutes worldwide.